Smooth Swiss milk chocolate with delectable honey and almond nougat. Unique triangles of delicious milk chocolate to give as a gift or share with family and friends. Suitable for vegetarians. 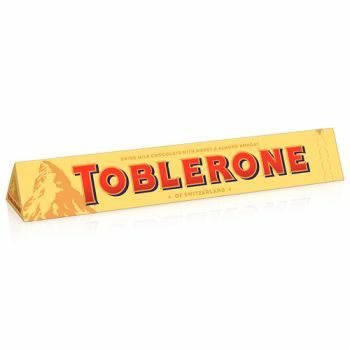 This travel exclusive golden pack contains 200g of Toblerone Milk Chocolate - a perfect gift and a timeless classic that never fails to delight! Made in Switzerland.